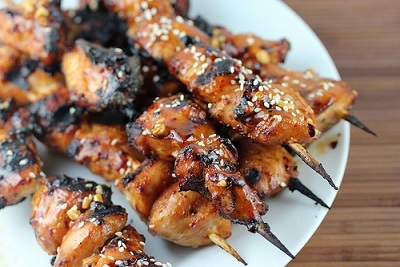 This Marinated Skewered Chicken Recipe is an easy marinated chicken appetizer that everyone, including restaurant guests really enjoy, especially when served with a delicious dipping sauce. Preparation time: 20 minutes. Serves 8. Note: The marinade can be used one more time IF you boil it for at least 5 minutes before re-using. 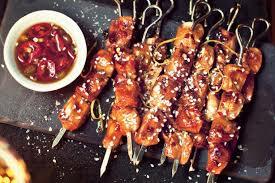 Enjoy your marinated chicken skewered appetizer and the company of those you share it with!